We must not sleep but fight until the end of Biafra restoration. Maazi Nnamdi Kanu must be released to avoid an implosion. Buhari is adamant to his own peril. God bless Biafra! Nkoli is a great Job so far. Pls lets make it a large network to promote this our brother. invite your friends and family to join. and shear others post on facebook. shear nkoli on facebook. Anyi nwere Evu Nwee Nfu. From the look of things, this social network was created by an Igbo, am I right? The law tells us that a government of a country can only arrest and detain a person when the person has committed a crime, violated the Constitution or broken any law. But if a government chooses to overlook the law and her Constitution and arrests, tortures and detains an innocent man whose only crime is speaking the truth, such government shall be regarded as a terrorist government. Nnamdi Kanu, the leader of Indigenous People Of Biafra (IPO, and Director of Radio Biafra/TV is a good man, he is an embodiment of truth, in fact, he can be best describe as a man without a spot of stain (nwa n'enweghi ntupo). He was born in Biafra, but nevertheless, he studied in Britain where he later became a citizen. At the height of his gospel of truth otherwise known as the gospel of Biafra restoration, he toured the whole civilized countries of the world, stretching from Japan, China and UAE to the East; Russia, Netherlands, and Spain to the West; and USA, Caribbean, and Australia, covering the entire globe. During his tour of all these countries, their respective governments always acknowledged his presence and welcomed him, not for any other thing but because of who he is, A MAN WITHOUT A SPOT OF STAIN. Nnamdi Kanu, after his tour across the world, traveled back to Biafra Land to see his lovely Parents, but surprisingly and barbarically, Buhari and his murderous DSS made a fool of themselves. They kidnapped him, claiming that Kanu was a terrorist. They said he committed treason and they detained him, saying he would stay there in perpetuity. Several countries, bodies, groups and above all the IPOB themselves have called for his release. Because of Kanu's clean slate and because he is whiter than white, countries such as Russia, Israel and recently, Italy, have called for his unconditional release, saying that the activist was innocent and God-sent to his people. Other world bodies such as Amnesty International have also called for Kanu's release, saying that the charges against him were nonsensical. More so, the Niger Delta Avengers have demanded his release, stating categorically that the only option for peace was the unconditional release of Nnamdi Kanu. Above all, the IPOB who are in the forefront of the campaign for their leader's release have continuously called for Nnamdi Kanu's release through worldwide peaceful protests, petitions, tweets and others. The Dullard of Daura, Mohammadu Buhari and his DSS, seeing that the world now celebrate Nnamdi Kanu as a Hero, instead of them to shamelessly release him, rather, they cowardly engage in an infamous crackdown against the IPOB peaceful, unarmed protesters calling for Nnamdi Kanu's release, massacring thousands, especially in Aba and Onitsha. Any blood of a Biafran spilled shall not go un-avenged, they shall kill us and we shall kill them, the day of reckoning has come, the law of Karma is about to be triggered, this is payback time, the only way to avert this doom is the unconditional release of Nnamdi Kanu. The patience of IPOB is exhausted. The time is now to strike! If Buhari and his terrorist government exercise any delay in releasing our leader, Nnamdi Kanu, he must before his death witness the catastrophic collapse of the Zoo called Nigeria. 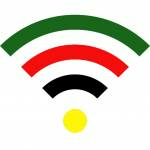 This group is for people who support Biafra Radio media in an effort to restore Biafra.